Ideal support for your workout and beyond, the Nike One Crops bring a flattering waistband, ample storage and feminine design lines to create a dynamic silhouette that outperforms your day. Cropped length hits below the calf muscle for a cool silhouette. Fabric: Solid: 83% recycled polyester/17% spandex. Heather: 83% polyester/17% spandex. I LOVE these capris. I was surprised at how much I loved the material. I wish I could have 3 more pairs!! They fit great, they don’t roll down. They nailed it with the wider waistband. I have several different types of Nike Plus Size capris and they do not roll down. 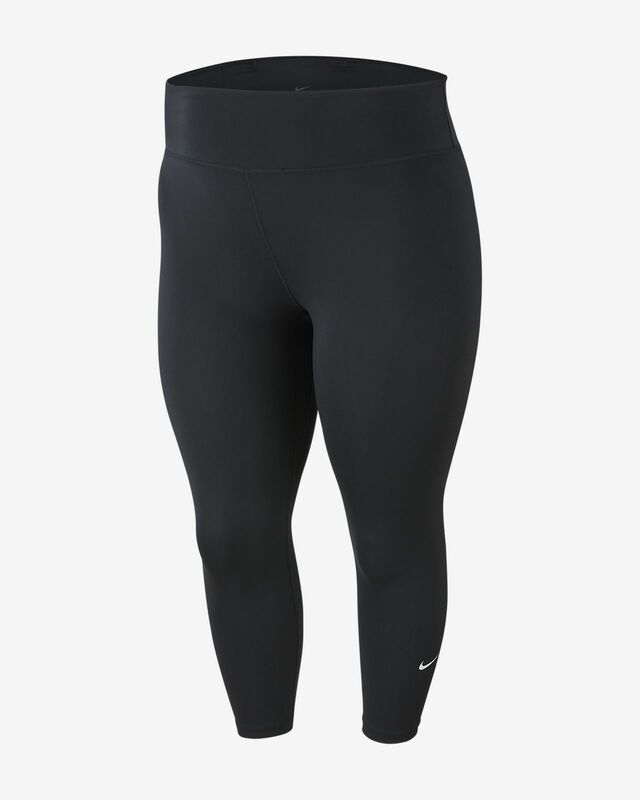 I am a big fan (no pun intended) of the Nike Plus Size bottoms, in general. As a side comment Nike, I’d really love some longer tops from you on the plus size line. Not all big girls enjoy a “crop top” look. I have a lower belly and would love some of your tanks except they don’t hit below or at hips. Even the hoodies. But you have nailed the pants/leggings/capris!!! Thank you for thinking of us fluffier types.